Back in 1979, 182 teams started into a rally that has remained until today one of the biggest adventures you can experience on planet earth – the Dakar Rally. Founder of the today legendary event was Frenchman Thierry Sabine who himself had got lost in the desert during a rally in the past and needed several days to find his way back to the civilisation. Sabine chose France’s capital Paris as venue of the start and from there, the route took the competitors to Senegal’s capital Dakar. The name Paris – Dakar was born and has survived until today – although only 17 of the 35 Dakar Rallies contested to date really took the competitors from Paris to Dakar. In the following years, the enthusiasm for desert adventure increased consistently and the first manufacturers began to show interest in the event. As early as in 1986, the Dakar field featured the first prototypes. In that year, however, the racing aspects proved to be of minor importance: Thierry Sabine died in a helicopter crash while searching for a lost motorcyclist. In 2001 a German woman upstaged everybody. At the wheel of a Mitsubishi, Jutta Kleinschmidt won the Dakar as the first and still only woman in the history of the sport – together with her German co-driver Andreas Schulz. 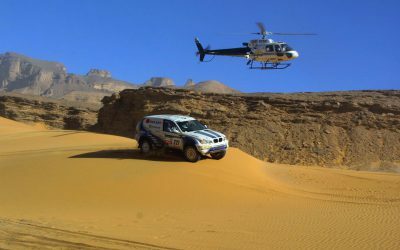 In 2008, the Paris – Dakar hit rock bottom due to the political situation in Africa that nearly made for the end of the desert rally. 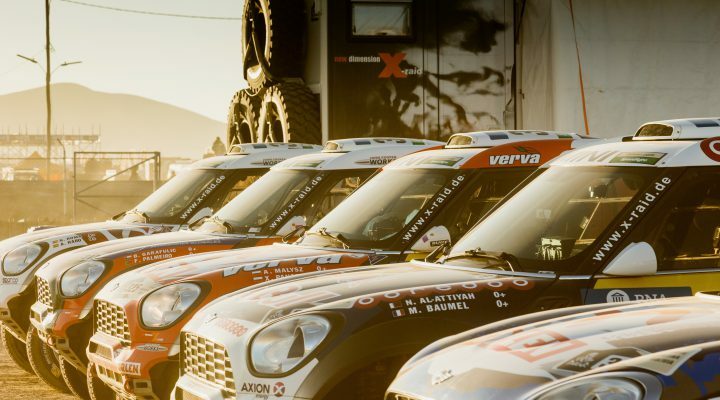 Just a day prior to the start in Portugal’s capital Lisbon, the organiser had to cancel the event due to terror threats of Al Qaida against the Dakar Rally and its competitors. Due to the politically insecure situation, the organisers didn’t dare to return to the African continent and looked for a new venue. At the end of the day, they found it on the South American continent. In a curious mood, the teams and drivers travelled to Buenos Aires – the start and finish point of the 2009 Dakar Rally – and were massively surprised. The population welcomed the Dakar with enormous enthusiasm and the start was witnessed live by a million of spectators along the track. 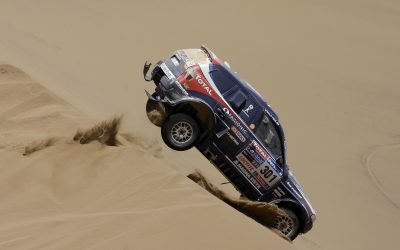 Three years the route lead the competitors through Argentina and Chile – then in 2012 Peru became part of the Dakar for two years. In 2014, Bolivia was added to Argentina and Chile as host country. In the following years the route and participating countries changed. In 2017 a new host country, Paraguay, was added. This year the Dakar took place exclusively in Peru and was one of the hardest editions in its South American history. We offer customised or used X-raid cars for sale and rent. Benefit from more than 15 years of experience and continous development. Subscribe to the fan newsletter or our press newsletter and never miss out on the latest informations about the X-raid team.